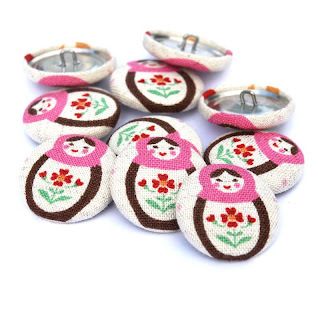 The Haby Goddess: Is there anything more delightful than Bluebirds & Matryoshka? Is there anything more delightful than Bluebirds & Matryoshka? Today a parcel of Buttons by Lou Lou arrived. As always they are perfectly crafted with beautiful quality fabrics. 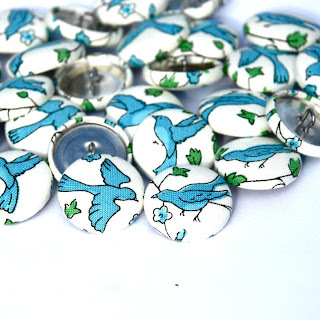 As well as re-stocking of some fav's, new stock includes Bluebirds & a new Matryoshka fabric. Both are available now in the online store.